The grand tombs of the Egyptian pharaohs are said to show the earliest examples of veneers. History dictates that the ancient Egyptians would saw thin boards from logs so that they could draw the most out of the timber. Well known for their industriousness, the Egyptians crafted tools to enable them to shave slices from logs which they would import in from surrounding lands including Syria, Phoenicia and Lebanon. 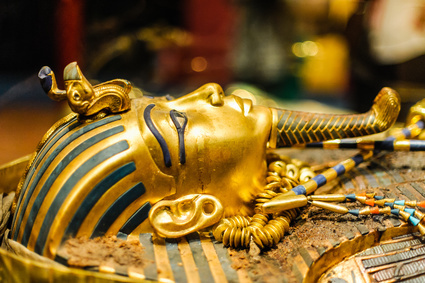 Their artistic prowess was most notable, with their creations of ebony and ivory used for the tombs of such revered rulers as King Tutankhamun. It is interesting to note that veneer woodworking originated due to a desire to conserve the natural wonders of the environment. If you think about it, Egypt is mostly desert. So where would timber come from? It was indeed a highly valued and rare commodity, and one the people of the time wanted to make the most of. Admiring the shrines within the tomb of King Tutankhamun, you may not believe that the intricacies on show would come from such basic woodworking techniques: such is the natural beauty of wood that amazing designs can be drawn out through even the most rudimentary methods: methods that are still in use today. Fast-forward to the Renaissance period spanning the 14th to 19th centuries, and the wood veneer finish had become much more refined thanks to the development of improved tools. 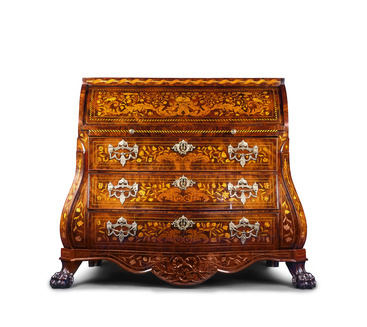 Thomas Chippendale, the famous cabinetmaker, made use of decorative wood veneers to craft his magnificent furniture. Renaissance wood veneering gradually became very sophisticated. Cabinetmakers would make use of stunning exotic timbers and burl grain to create exquisite designs or even pictured scenes. This craft we now know as marquetry, and it was used extensively in the lavish furniture creations crafted for nobility and even royalty. By the middle of the 19th century, the first veneer cutting lathe received official patent. This was a crucial turning point in the future of veneer woodworking and resulted in the high speed lathes of today. Highly prized timbers such as walnut and mahogany were favoured during this period, and they were made to go further by slicing and applying to less valuable species such as maple. Today, the natural wood veneer and the intricate crafting of it is still something to be prized, and certainly something to be appreciated as an ecologically viable way of making the best use of the valuable resource that is timber.